I totally know what you’re thinking right now. Yeah right, why would I be nice to someone who is rude to me? You’re not alone. This would be the reaction of most people. Can I provide a different perspective? If people are bitter and rude, it has absolutely nothing to do with you. Unfortunately this is how they live their life and how they interact with the people around them. These are the people who had hopes and dreams that may not have come true. They may have gone through hardships such as loss of a loved one, financial problems or health challenges. Most of all they feel they have no choice when it comes to improving their personal and/or professional life. If people don’t get better by keeping their emotions in check and by learning to control their emotional response, they will become bitter. Of course I am also only human and I can get upset when someone is out of control BUT what really helps me is to shift my thought process. Maybe this person has a terrible family situation. Maybe he/she just lost a loved one. Maybe he/she just went through a divorce. Maybe he/she has a sick child at home. Maybe he/she has a terminal illness. Maybe he/she was bullied as a child. ….. and this list goes on and on. Did you know that hurt people hurt people? In other words, we don’t know what’s going on in people’s life and we are so easy to judge. 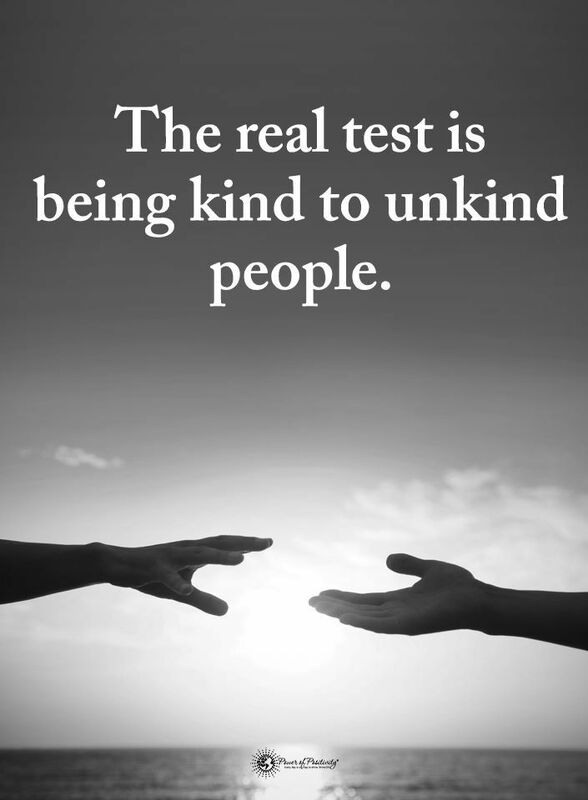 I encourage you to be kind to unkind people. Be kind! It’s good for you and it’s good for the people around you.